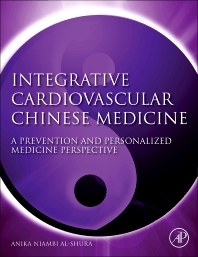 Combining the research and study of integrative Chinese and Western Medicine, Integrative Cardiovascular Chinese Medicine: A Prevention and Personalized Medicine Perspective presents a clear, structured base to guide clinical practice and encourage collaboration between Chinese medicine and Western medicine practitioners. This complete reference work thoroughly covers the pathophysiology of cardiology-related diseases, and compares, juxtaposes, and integrates Western and traditional Chinese medicine (TCM). Anika Niambi Al-Shura provides a realistic scope of cardiology treatment and the integration of Western and Chinese medicine, establishing a basis for standardization and a rationale for the inclusion of TCM in cardiology, and identifying and inspiring ideas for future research. Researchers of Alternative Medicine and Cardiology, Cardiologists, Traditional Chinese Medicine (TCM) Doctors.